I was at the match too. Not much to cheer about until the last few minutes. K Mac should be playing alongside Price. I know MKD are fighting for their lives but even with our current depleted squad we should be good enough to beat MK. 20' Daniel Powell looks to break to the byline and cross but Iorfa gets back to block for a corner. Good pass by Iorfa to find Henry who advances and tries a shot but it's crowded out. I want to say something encouraging but I was at the game on Saturday v Ipswich. What a bad performance with just two shots on goal. Keep looking for optimistic signs but nothing there. 15' Price in space on the left wing, he lifts a cross towards the back post but it's too high for the gold shirts and runs long. Evening everyone. Not the start we were hoping for! Not sure how Saville is still playing; looked like he couldn't be bothered on Saturday. 14' Zyro picked out in a good area on the left side of the MK Dons area, he looks for goal but it's blocked at close range. Hi all thanks for blog. 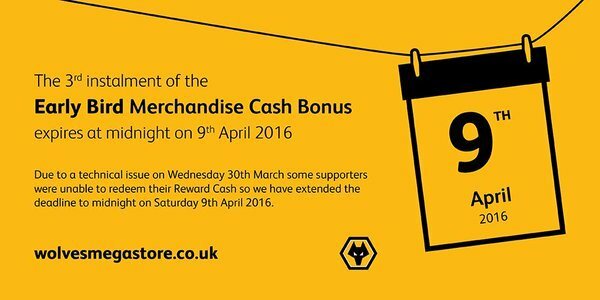 Come on you wolves give us a win tonight. Shame about KMac. Good player. Good Evening. We needs Leeds to do a job on QPR and we could go up one. Mcdonald and Siggy on their way then. hi paul .from CANADA I hope this is KJ ,s best team, lets have a good game WOLVES 3-0 need a big win. No idea on McDonald folks. Imagine Kenny will be asked after the game. But not been involved in recent games where the trio of Coady/Saville/Price have played. And Edwards back on the bench tonight. Good to see that forward line, nothing personal, but no Siggy, does that mean he's on his way. Hi everyone, from a very wet Benidorm, liking the forward line. looks like K MAC has finished with us? ?